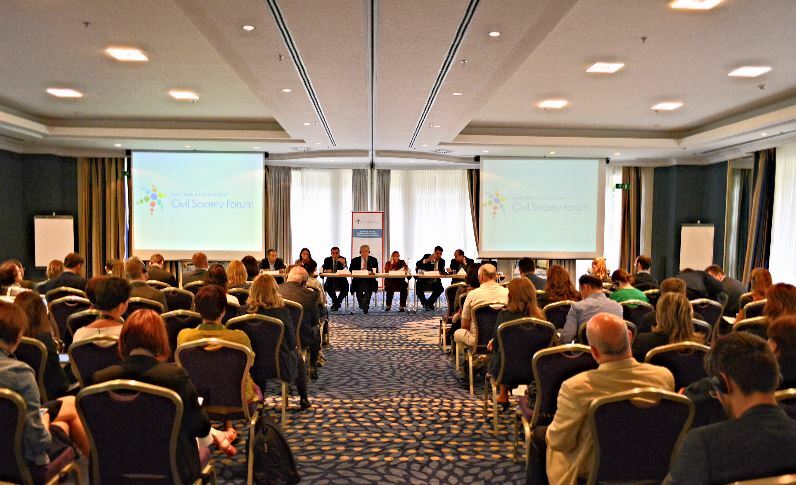 The Eastern Partnership Civil Society Forum (EaP CSF) organizes a debate in the framework of the EaP CSF Working Group 1 (Democracy, Human Rights, Good Governance and Stability) Annual Meeting. The discussion is aimed at analysing the level of civil society engagement in the six EaP countries, in light of the recent developments in the region that seem to have substantially impaired its role. How can CSOs be actively involved in the implementation of the EU-Armenia Partnership Agreement? Similarly, how to ensure their contribution throughout the talks on the new framework agreement between the EU and Azerbaijan? What is the impact of the amendments to the Ukrainian e-declaration law on civil society? How should the EU respond to the recent crackdown on civil society in Belarus? What improvements in civil society participation can be envisaged in Georgia and Moldova? In such a challenging environment, the importance of a coherent approach towards a meaningful participation of the civil society is becoming even more evident than before. Against this background, the panel will explore opportunities and solutions for a more effective engagement of civil society actors.